From Albany and points north: Take I-90 East to exit b-2 onto the Taconic State Parkway. 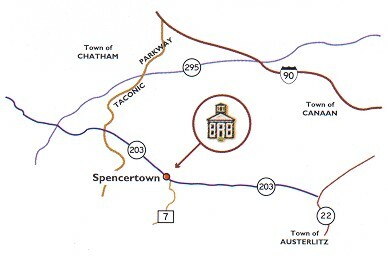 Take exit marked “Austerlitz and Chatham/Spencertown – Route 203.” Bear right at exit and continue on Route 203 for three miles. The Academy is on your left, just past the village center. 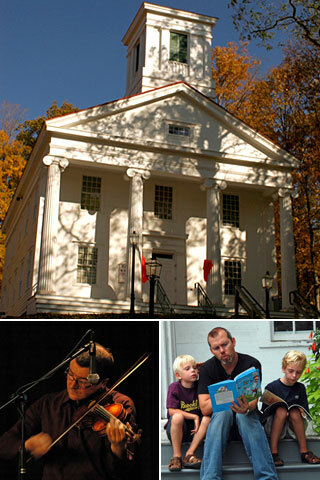 From Hudson: take Route 66 North to Chatham. At Chatham’s only traffic light, turn right and go exactly 5 miles. The Academy is on your left, just past the village center. From Great Barrington: Take Route 23 south to Route 71, turn right onto Route 71 and follow until it joins New York Route 22. Turn right on 22 and go approximately 7 miles to Austerlitz and the junction of Route 203. Turn left onto 203 and go 4 miles. The Academy is on your right. From Pittsfield: take Route 20 to Route 41 to Route 295. Turn right on 295, go two miles to intersection of New York Route 22, turn left onto 22 and go approximately 7 miles to Austerlitz and the junction of Route 203. Turn right onto 203 and go 4 miles. The Academy is on your right. From NYC and points south: Take the Taconic State Parkway to the exit for Chatham and Austerlitz/Spencertown-Route 203. At exit turn left onto Route 203 and go for three miles. The Academy will be on your left, just past the village center.